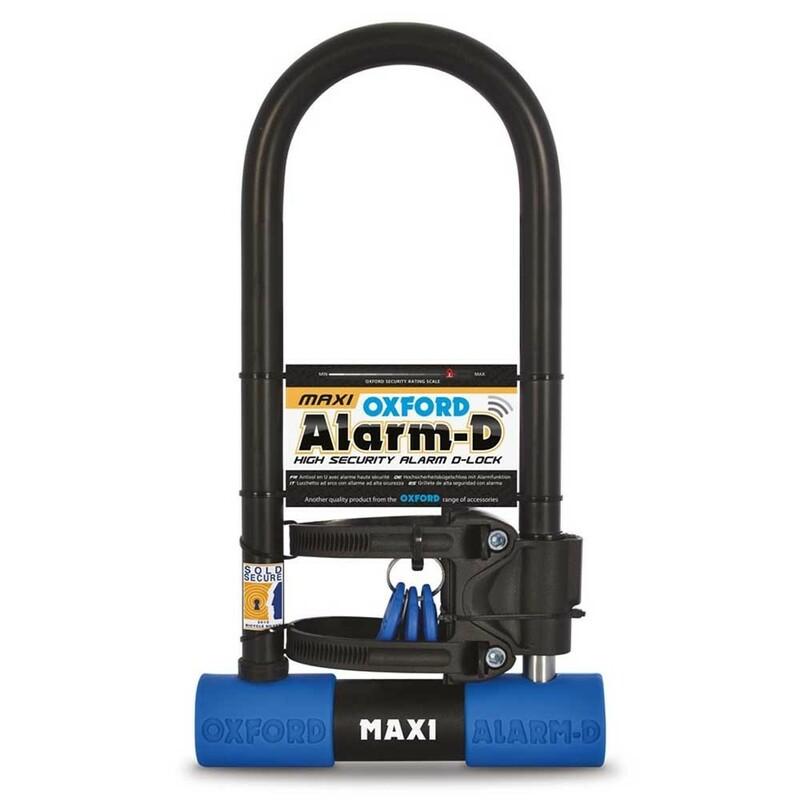 Oxford Alarm-D Max High Security Alarm D-Lock. Hardened Steel 14mm shackle. Built in weatherproof 120dB alarm. Powered by a long life lithium battery. Comes with three keys. Key replacement service. Unique carry bracket. 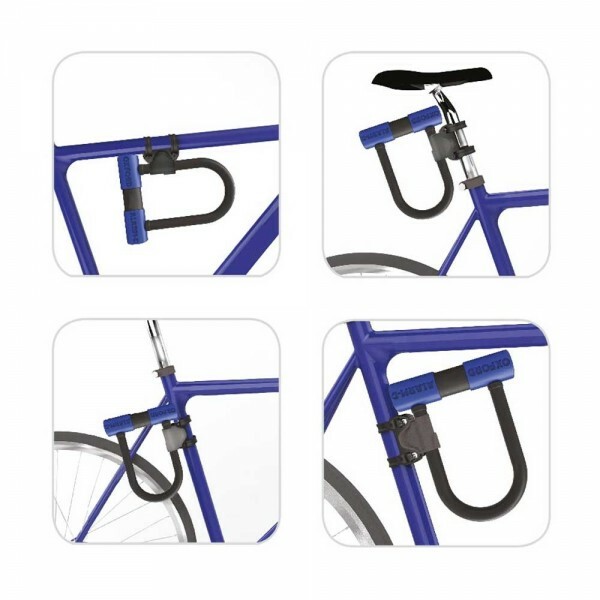 High tech pick-resistant locking system. Sold Secure Bicycle Silver.